A silver dragon. An epic quest. A terrible foe. Plus a legendary new cover. Totally hypnotic. Do you love Cornelia Funke’s Inkheart trilogy? Then read the dragon fantasy that made her name. Danger has come to the valley of dragons. Humans. Destroyers who kill all the magic and leave only legends behind. But some humans are different. Like Ben. (Or like you.) And some dragons are destined for greatness. 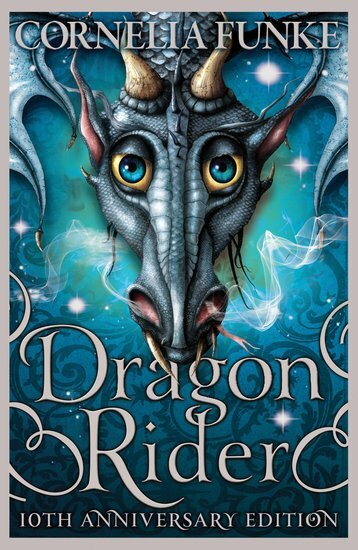 Will Firedrake and his human rider triumph in their daring quest? The ultimate in magic: great battles, terrible enemies, huge sacrifices. Hop aboard: see the world from a dragon’s back. This is an amazing book which I read in year 4.It has a strong bond of friendship and acceptance throughout he book. It definitely has a lot of fantasy in it and it’s on going war with nettlebrand!